Real Betis are reportedly interested in getting Argentine striker Lautaro MARTINEZ. 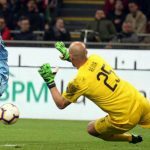 Since making the transfer over to Inter, the former Racing Club player has only started four league matches. 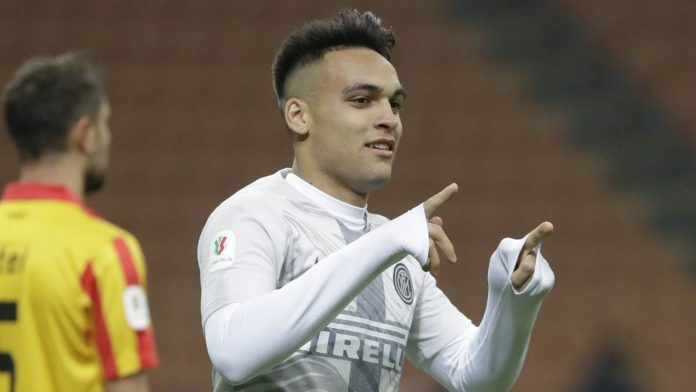 Per a report by TyC Sports, Betis would be looking to sign Lautaro MARTINEZ on loan. 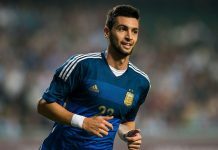 Betis sporting director Lorenzo SERA has been in contact with Inter regarding the player. We almost got a scare of losing Balerdi since Dortmund refused to leave him although that issue has already been settled. He will be arriving on thursday instead (a day delay). Our first match starts on sunday. Can’t wait for that ! Any link of confirmation that he will return ? Which channel will telecast the match? not too sure bout that mate. Do you think they should play next wc? Dear Mundo, heres the final summary of the 100ish votes! The clear favorites with 80+ votes each were Tagliafico, Messi, Dybala, Pezzella, Paredes, Icardi, and Saravia. 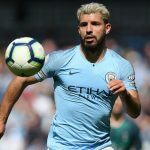 Aguero, Palacios, Foyth, and Romero trailed behind in the 70s. Something else caught me by surprise was the difference between Aguero and Icardi as the primary striker. More people voted for Icardi to be included in the 23 squad but more people favored Aguero as the #9 for starting 11. I think the bar and pie charts are self explanatory but please let me know if you need clarification. Also, if i made a mistake somewhere, please let me know and i’ll correct it. Again, id like to THANK Godin11, Cox11, Gonzalo, Ebo, and Mrinal1235 for their input. Also, if any of you want to see the data summarized differently, let me know. That is squad looks good . Thanks, dude! IT does look good…starting 11 could be different if using another formation but i picked 433 since its standard. Great Work Friend, Thanks again for taking the time and effort to do what you did! The result looks strong and balanced. Thanks! The distribution of votes were interesting to say the least. Had fun putting the data together. Also, I don’t understaand why people still chose Acuna and Armani… but there you go. I get the frustration with Pavon but i still think theres hope. He hasn’t shown it unfortunately so only more time will tell. For LB, not too many options left lol so Acuan is default at this point. Wonder what the hell happened to Pizarro. Dude showed promise in those few games but then disappeared. Like for like replacements, even though Messi is irreplaceable, but Dybala comes close enough. Dybala is the most overrated player in the europe. He is slow , ineffective dribbler, bad passer. Sometimes he can shoot from good range and can score freekick. If Coutinho is a joke, then Dembele is the biggest joke of them all. BOTH got to leave Barca! Dembele scores a goal here and there and the Spanish Media are sucking him off. Both have been not been able to replace Neymar. Shows how good he was. Demble is not overrated he is best young player . he will be better than mbappe intime mark my word. Coutinho is not more overrated than dybala. Barca playing style doesnt suit him. Barca wants him to fill the void of andres iniesta but he is more of a solo player than team player unlike andres iniesta. That he has 1 move, which is to cut in and shoot? He’s a TERRIBLE passer, terrible dribbler almost always loses the ball. And he already is showing a bad attitude after he’s done what? Nothing! At least Ronaldinho had won a Champions League and La Liga when he started coming late to practice. Dembele hasn’t done anything and he thinks he’s a big shot. Barcelona is not the place for him, possession football is not for him. He was made for counter attacking football, to outrun his opponents. Liverpool would be ideal for him. Just another Mane… all speed and no control. Dembele got terrific skill, speed, dribbling,finishing and a good crosser as well. He is still young he will improve is passing timing when to pass the ball at barca he and messi will combine togther to produce world class football. Man, Lauturo is a wanted man. 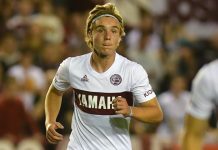 He will be a star, mark my words! 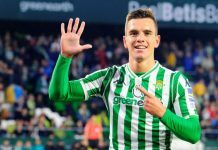 He needs minutes, and Real Betis may not be that bad for him. It’ll open the doors for clubs like Atletico, Sevilla, Real, Valencia, and maybe even Barca if he performs well in La Liga. Move to spain is ideal (Prem works too but i prefer Liga for development) . Anything but dreadful inter. Let him go no chance.